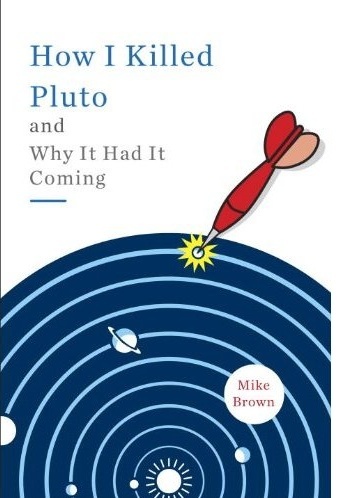 Mike Brown's Planets: What's in a name? If you ask most astronomers what they think about the decision to demote Pluto from a full planet to a dwarf planet (and my discovery Eris along with it, don’t forget!) they will usually tell you that it is not important, that it is just semantics, and that the debate is overblown. And then they will proceed to tell you for the next three hours why they are right and everyone else is wrong. I’m not going to do that. I am not going to tell you whether or not I think Pluto and Eris should be planets or not be planets. I am not going to say what I think about the term dwarf planet or the newest term Plutoid. I have pretty strong opinions about all of that, and could easily fill those promised three hours with them (because, of course, I am certainly right and everyone else is certainly wrong….). Instead I’m going to address what I think are the bigger questions: Does it matter? Is it all just semantics? What’s in a name, anyway? Is it, in fact, true that a rose by any other name would indeed smell as sweet? Let’s start by forgetting that the word “planet” ever existed and instead look at the solar system with fresh eyes. In almost every case that I can think of, the first thing that a scientist does when examining a new set of objects or animals or behaviors or phenomena is classification. Classification sits at the root of any scientific tree. Without classification everything is an individual with individual explanations and theories. Classification allows us to start to make sense of the universe around us. Moving to the animal world, it is easy to think of some useful classifications. How about animals that walk versus animals that fly versus animals that swim? This system is a fine one to start with. But wait! What if someone comes along tomorrow and says that he prefers to classify animals as those that are herbivores versus those that are carnivores versus those that are omnivores? No problem! Depending on what aspect of the animal kingdom you are studying your classification scheme may differ. Animals with wings versus animals with fur versus animals with scales. Big animals versus small animals. Mammals versus reptiles versus birds. The possibilities are endless! Which one is right? You would never ask such a foolish question. You might ask the question of which ones are useful or which ones are meaningful, but never which one is right. If you are a scientist studying reproduction, you might decide that the most important category for you is egg-laying versus child-bearing, while your neighbor in the lab down the hall, who studies vocalization, might think the most important category is one based on which types of sounds the animals make. These are all good categorization schemes. Let’s move back to the solar system now and keep trying to forget the word “planet.” If you were someone who studies the solar system and you were ask to classify the objects in it, there are many different possibilities you might come up with. If you are interested in composition you might select rocky things versus gaseous things versus icy things. If you are interested in atmosphere you might select objects with thick atmosphere versus thin atmospheres versus no atmosphere. If you are interested in magnetic fields you could classify those with and those without. As an astronomer who looks at the solar system through telescopes, I have in my mind a classification system that goes something like: objects that are so big and close that they are easily resolved with any telescopes, objects which are smaller, but resolved with the biggest telescopes on earth or the Hubble Space Telescope, and objects which are so small or far away that they appear only as points of light no matter what. Every time I sit down to consider a new astronomical project I make explicit use of this classification system. Which classification system is correct? As with the animal classifications, this question is absurd and no one would ask it. Many different good and useful classification schemes can and should exist. Although there are an infinite number of classification systems one could devise, only two were seriously debated for the word “planet.” The first classification system that was discussed was objects that are round versus objects that are not round. While at first this seems a silly and arbitrary distinction, in one sense you could call the round versus not-round category as the “geologically interesting” versus “not-geologically interesting” divide (this statement will be disputed by the myriads of planetary scientists who study the geology of non-round objects, but I think that even they would, at least, understand the point I am trying to make here!). An object becomes round when it gets big enough that it begins to crush itself from its own gravity. This self-crushing can drive many interesting geological processes, thus the general feeling that round things have interesting geology, non-round things do not. By any reasonable estimate there are hundreds of such things in the solar system. No astronomer would (or should, at least) ever dispute that this is a useful classification scheme. The second classification scheme that was discussed was large solitary objects versus collections of small objects. The large solitary objects are Mercury, Venus, Earth, Mars, Jupiter, Saturn, Uranus, and Neptune. The collections of small objects include the asteroids, mostly between Mars and Jupiter, the Kuiper belt objects, mostly outside of Neptune, and other miscellaneous interlopers, like comets. For those concerned with the formation and architecture of planetary systems this classification divides the objects in the solar system into the different groups which require different explanations (a better system would be to subdivide the large objects into two sub-categories -- rocky objects and gaseous objects – which require separate theories of formation). . No astronomer would (or should, at least) ever dispute that this is a useful classification scheme. All of the important science of categorization is now done, and done correctly. All that is left to decide is who now gets to use the magical word “planet.” There is absolutely no scientific argument that anyone could possibly make to prefer one over the other. That would be akin to asking which one is correct. The answer is that they are both correct, and both useful. Even most astronomers have missed this point. Some astronomers continue to attack and defend the planet definition on scientific grounds. They tend to try to obscure what they are really doing, which is trying to argue that one of the two classification schemes is better and the other flawed. Astronomers making such arguments are either being disingenuous or are simply not very thoughtful. Or perhaps both. There is even a conference being held this summer to discuss the “scientifically correct” definition of “planet” which is about the most nonsensical conference topic I can image. So what is the world to do, and, again, does it matter? I would argue that it matters critically. While astronomers (and I’ll include you astrologers in here, too) have an almost infinite number of ways of classifying the solar system, the vast majority of the public really only thinks about one. There are planets and then there are everything else. I then ask a simple question: if the public is to have just one definition with which to try to understand the solar system, which is the best one to use? Which best captures the richness and complexity of the solar system? Which tells them the most about universe around them with just a simple word? I have my own prejudice on what the right answer is here, but it is simply that: a prejudice. You can have a different one. Then, when it comes time to do the science, we can all revert to whatever classification is most useful for the problems we want to address. Your story is quite convoluted. By astronomers' cant and commoners' rant. From the heavenly nine you've been booted! As the means to an end which - Heaven forfend! Meant millions of us were outvoted. And who would have dreamt your orbit's unkempt? I think you've been badly Swift-boated. Were you closer to us, would there be such a fuss? To Ponder: Should a Planet be defined by what it is (physical characteristics) or where it is (orbital dominance)? So I ask, "Is the Earth's moon a planet?" I agree with you, in that we have two different, perfectly rational planetary classification systems: one based on geology, and the other on dynamics. I tend to favor the geological model with its myriads of "planets", but the other has merit as well. The crux of the controversy, as I see it, in the IAU's definition of "dwarf planet" and "plutoid" is the other comment you made: that there is no scientific way to decide who gets to use the term "planet". Inherently, the issue among the general public isn't one of science, but rather one of culture and tradition. I believe you used the terms "cultural planet" and "historical planet" in your page on Eris when it was first discovered, and they're good expressions. How do we reconcile these two classification systems with what the layman thinks of as a "planet"? People like their shortlists of easily memorized planet names, and lots of people, for whatever reason, are attached to Pluto. I've thought all along that the IAU needs to recognize this public need and come up with a "cultural planet" category. Let them define "cultural planet" the way we always did implicitly before August of 2006: any body which orbits the sun and is at least as large as Pluto (or at least 2000 KM in diameter, if they prefer a nice, round number). Any newly discovered object in this size range could then be named as a major planet, from a cultural standpoint. Since the IAU is involved in naming these celestial objects, they'd have to be the ones to define "cultural planet". Is this scheme somewhat arbitrary? Of course. But it's also not "scientific", so as long as we recognize the fact, we should be OK with it. Perhaps this would resolve some of the recent confusion in textbooks. As one example, I've noticed that National Geographic has a book called "11 Planets", which numbers the three official dwarfs in with the eight bigger planets. Introductory text books could stick with the "cultural planet" category for memorization purposes, and in due time astronomy students can be introduced to the more nuanced classification schemes. It might be useful to grandfather in Ceres, simply because it's the largest member of the asteroid belt and as historically important as Pluto and Eris. A planetary list including Ceres would give a pretty good cross-section of the major orbital zones in the Solar System. But that's an argument for another day. This is a very good point you make in this blog entry - finally, the whole debate is about which of the classification schemes will have ownership over the magical word "planet". And yes, the public plays indeed an important role here. As we all learn the names of the planets (and maybe some of their properties) at school, the planets are to many the very first contact with astronomy, maybe even with science. I feel that having hundreds of planets, most of them being small, distant iceworlds you never going to see in your backyard-telescope, will take much of the magic away from the word planet. What point is there in learning the names of all the planets, if there are a few dozen more detected every year? Therefore, in my opinion, we should let the "dynamical" definition of the planet win the debate, to make sure that the planets stay the "one-of-a-kind", individual, diverse, fascinating worlds they are. As a geologist, I certainly like the "dwarf planet" definition, although personally I would have prefered it to be called "planetoids" oder "planetary objects". But for the case of spreading science to the public and teaching it, I strongly favor the "dynamic" definition of the term. I disagree with the statement that having hundreds of planets would take away from the magic of the word planet. In fact, most people already know that we have discovered nearly 300 planets orbiting other stars and find that extremely exciting. People actually enjoy finding out that there is more out there than we ever imagined. Therefore, I disagree that the dynamic definition is "better" for teaching and outreach to the general public. Memorizing the names of planets is not really that important. What is more important is knowing the various subtypes of planets--for example, what the characteristics of a gas giant are compared with those of a terrestrial planet. A major problem with the IAU definition is that it states that dwarf planets are not planets at all. It is obvious to people that this makes no sense, as can be seen from the National Geographic "Eleven Planets" book. In common practice, the eleven-planet scheme ends up being the one most frequently taught and utilized. The conference this summer is not being held to determine a "scientifically correct" definition of planet but to study the process by which scientists and others arrive at such definitions. Obviously, that process has been problematic. The issue of who decides is critical. One can question whether the IAU should be be deciding which classification becomes "the" one taught and used, especially when its decision-making process excludes most of its members and other planetary scientists in the field. If we can find a way to incorporate both geophysical and dynamic characteristics into a classification system, we would have the best possible situation and one that is easily teachable and understandable. For example, taking into account dynamical considerations, we could say that an object such as Ganymede, that is in hydrostatic equilibrium but orbits a planet instead of a star is a "secondary planet." That way we keep the overall term planet as broad as possible with multiple subcategories that take take all these characteristics into account. In popular usage, moons of planets will likely continue to be called moons or satellites; however, many are very similar to the primary planets (those orbiting the sun), and this too is important to acknowledge. Even in the 1868 the book, "Smith's Illustrated Astronomy", moons were called secondary planets. If astronomers used strictly a geophysical definition there would be roughly 18 secondary planets, including our moon. The question is: "How inclusive do we want the term Planet to be?" A consequence of IAU's decision is that now 2003EL61 ad 2005FY9 are considered as a dwarf planets and plutoids, "for naming purpose". In a concrete way, the IAU will use its two committees, including the one that is used to take classical names. For your proposed names, will you stick by your initial choice of Hawaiian gods or will you, as you did for Eris, switch to classical names? * May not be in hydrostatic equilibrium, though appear spherical. Or how about this for the classification of bodies, whether in the Solar System or interstellar? In what class is your favorite body?